Another “guest-post” from Lee Crockett, Ian Jukes and Andrew Churches – shared (with permission) from their new book “Literacy is NOT Enough”. Today, it’s essential that all of our students have a wide range of skills beyond those that were needed in the 20th century, a range that includes the skills needed to function within a rapidly changing society. 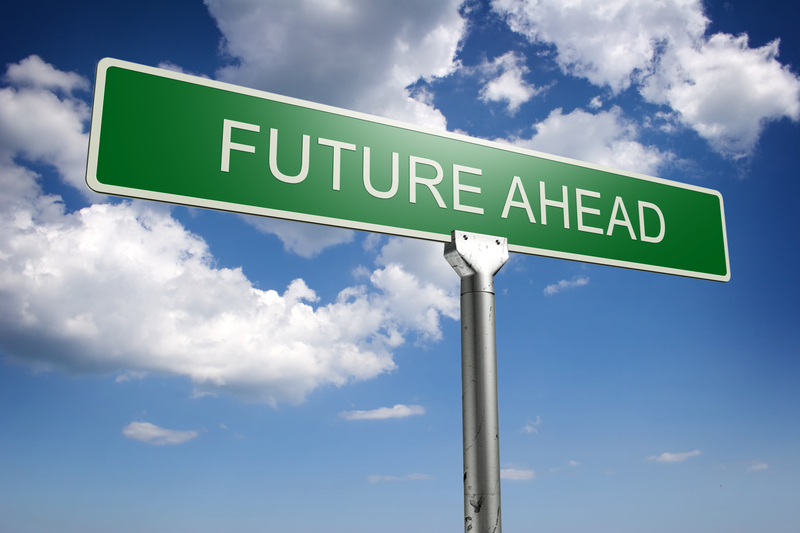 Ironically enough, we are already more than a decade into the 21st century but are still debating what 21st-century skills are and what 21st-century teaching should look like. Yet an interesting global consistency exists. Take a moment and ask yourself this same question. What is your answer? Next, ask this question to your colleagues. Ask it at your next staff meeting! Problem solving: Students need the ability to solve complex problems in real time. Creativity: Students need to be able to think and creatively in both digital and non-digital environments to develop unique and useful solutions. 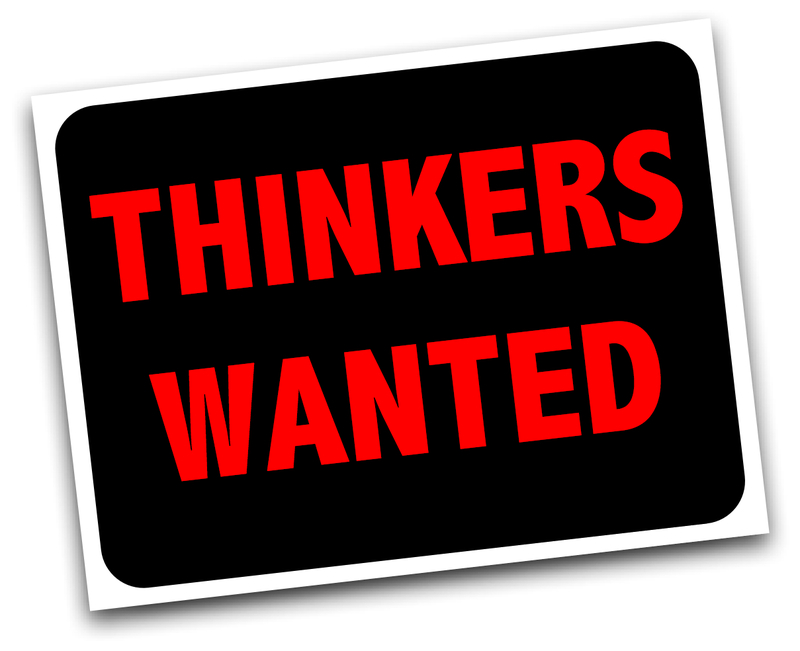 Analytic thinking: Students need the ability to think analytically, which includes facility with comparing, contrasting, evaluating, synthesizing, and applying without instruction or supervision and being able to use the higher end of Bloom’s taxonomy. Collaboration: Students must possess the ability to collaborate seamlessly in both physical and virtual spaces, with real and virtual partners globally. Communication: Students must be able to communicate, not just with text or speech, but in multiple multimedia formats. They must be able to communicate visually, through video and imagery, in the absence of text, as actively as they do with text and speech. Ethics, Action, Accountability: This cluster includes responses such as adaptability, fiscal responsibility, personal accountability, environmental awareness, empathy, tolerance, and many more. Though the language may vary a little, every group of stakeholders (parents through national-level officials) give us more or less the same answers. Our schools were designed for an era in which three-quarters of the population were employed in agriculture and manufacturing jobs. Those times are gone forever, but our educational institutions still embrace traditional structures, traditional organization, traditional instruction, standardized learning, and standardized testing at the same time that our economy is eliminating standardized jobs. Today, three-quarters of our workforce are working in creative-class and service-class professions. If we want our students to survive, let alone thrive, in the culture and the workplace of the 21st century, literacy is not enough. It is critical that our students develop 21st-century skills. In fact, we would go so far as to say that these skills are more important than most of the traditional content taught in the curriculum today. We want to take a moment to make an important distinction. It’s actually our mindsets that we need to shift. 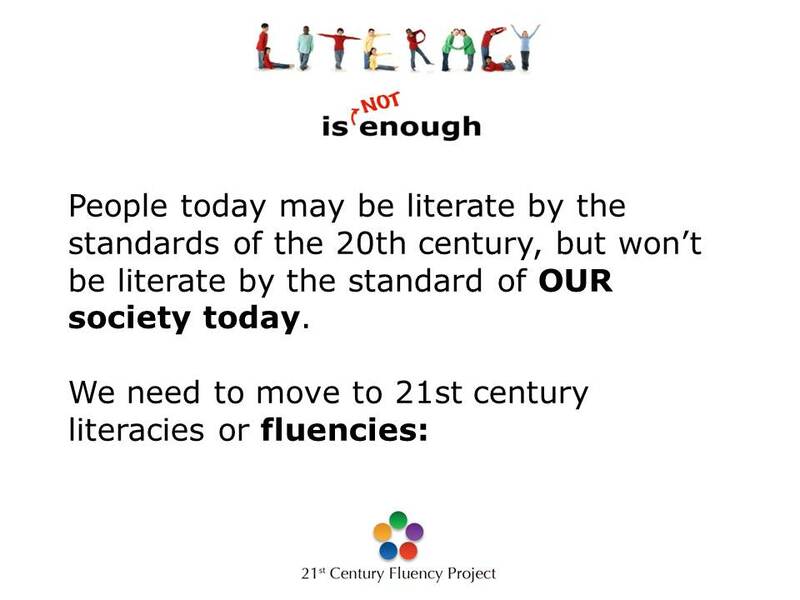 There is a reason we use the term 21st-century fluencies and not 21st-century literacy or 21st-century skills. Think about the difference between these terms. When we are at the level of literacy with a language, we are able to communicate. However, our focus is on the structure of the language, on the translation, on the pronunciation, and on getting the words out. When we are fluent with a language, the concepts flow from our brain and out of our mouths. The process is transparent to us. Our focus is on our thinking of what we want to say and not on the translation or the pronunciation. As a result, we are much more effective at expressing our true intention. The same holds true for children who are learning to write. Their focus is on forming letters and using the tools of pencil and paper. But as we grow older and use these tools every day, the tools and the process become irrelevant. Our thoughts go directly from our minds through the tool, whether pencil or keyboard, to the medium. 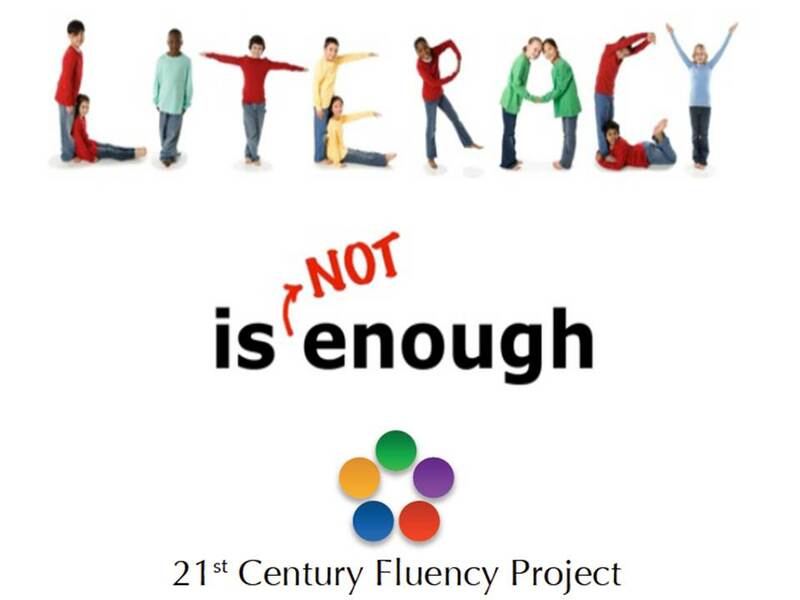 The literacy level does not contain the fundamental skills our students need for their life beyond school. We need to raise the bar. Our goal should be the fluency level – the level at which these skills have become internalized to the point of transparency, where the skills become part of the unconscious process and do not stand in the way. We need to move our thinking and our training beyond our primary focus and fixation on the Three Rs — beyond traditional literacy to an additional set of 21st-century fluencies, skills that reflect the times we live in. 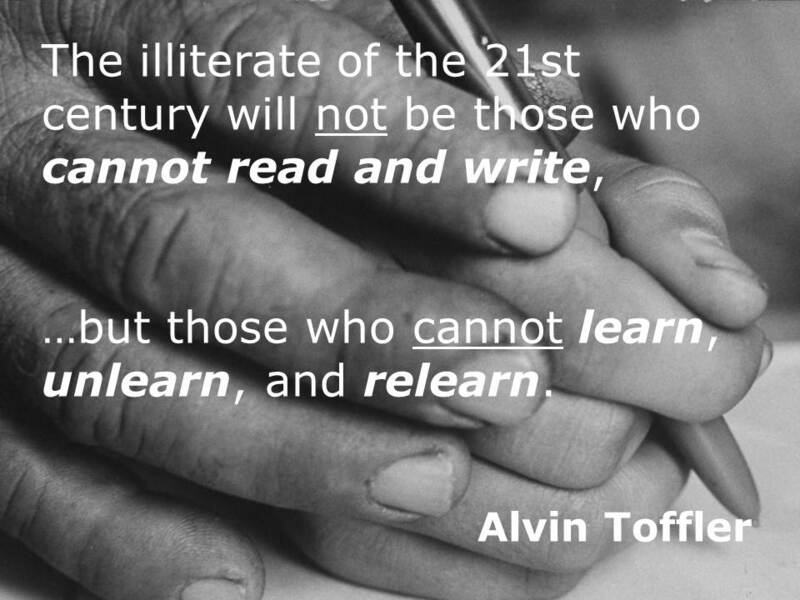 How we learn reading, writing, and mathematics has changed. In the age of multimedia, hypertext, blogs, and wikis, reading is no longer just a passive, linear activity that deals only with text, with reading literature, manuals, workbooks, computer screens, or technical instructions. At the same time, writing has also changed and is no longer just about being able to communicate effectively with pen, paper, and text. Writing has moved beyond just creating traditional reports, filling out forms, or making written instructions. Math is about more than simply memorizing and applying formulae, definitions, and algorithms. By now, we are sure that you share with us the understanding of the pressing need to cultivate 21st-century fluencies in every student. When we first started discussing how to do this and how to assist educators in making it happen, we quickly realized that we needed a process or system that educators could use with their students. What do these fluencies look like? What do they look like in the real world? What do they look like in my classroom? How do students learn them? In “Learning is NOT Enough” we have tried to share our thoughts on the 21st-century fluencies – and worked to develop structured processes for the skills we defined earlier. These processes can be taught, they can be learned, and they can be internalized by your students. We’ll outline some of these in a couple of follow-up posts soon. REMEMBER, also, these aren’t just for the students. The 21st-century fluencies are process skills that we all need, and there is as much benefit in cultivating them within yourself as within your classroom.